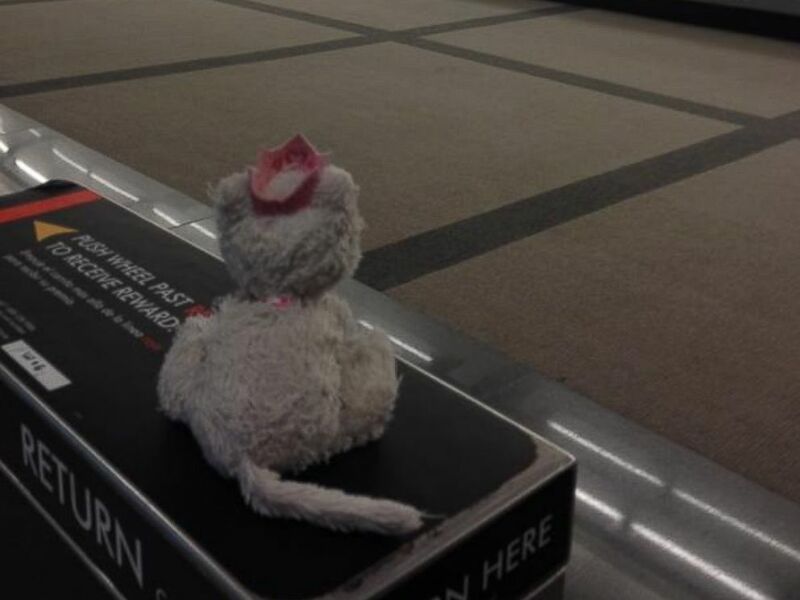 The lost and found staff and social media team of Denver International Airport took Princess Kitty on a tour of the airport before returning her to her owner. 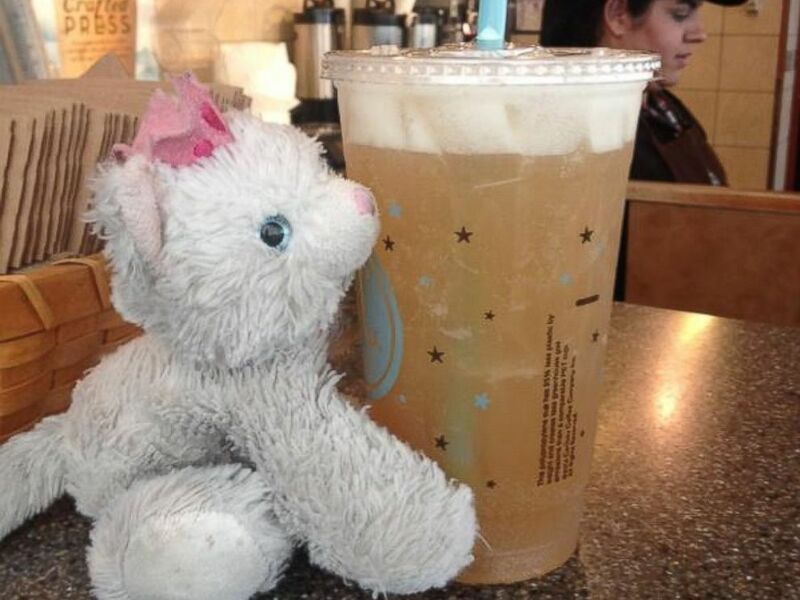 A stuffed animal named Princess Kitty had the adventure of a lifetime, when its young owner accidentally left her behind at the airport. Nine-year-old Annie and her mom Sonja Wieck had just returned to Denver International Airport on Monday morning from a trip to Washington, D.C., when they realized Princess Kitty was missing. Princess Kitty visited one of the coffee concessions in the main terminal of Denver International Airport. “We were on a tram. She had her blankie on her lap with Princess Kitty. When she got off the tram she took her blanket, but she didn’t take Princess Kitty,” the Greenwood Village, Colorado, mom told ABC News. Wieck, an amateur triathlete, said she and her daughter both cried after losing Princess Kitty. 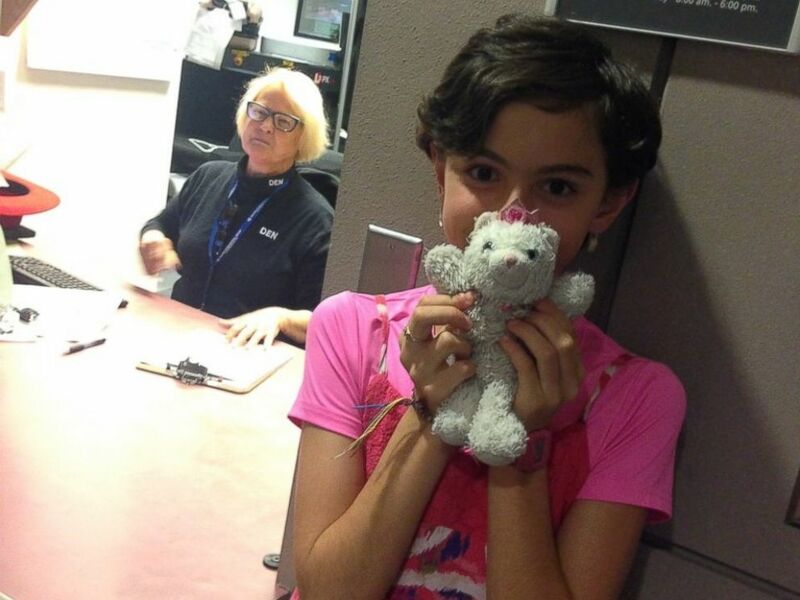 She bought Princess Kitty at Denver International Airport for Annie when she was 3 years old. As a way of keeping in touch with her daughter while travelling for competitions, Wieck has taken Princess Kitty on her trips around the world, sending Annie photos along the way. 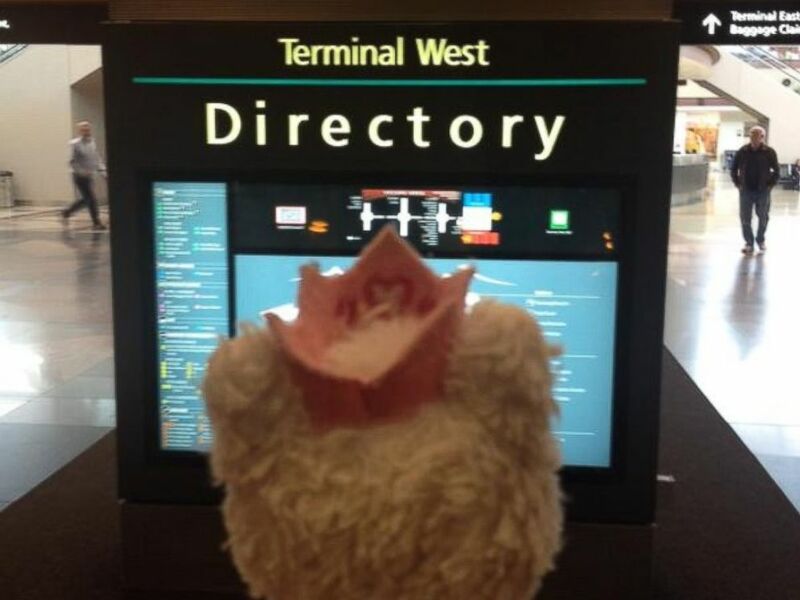 On one of the concourses at Denver International Airport, Princess Kitty looked at a map. Since they had already left the secured area of the airport, Wieck filed a lost-and-found report and sent a tweet to the Denver International Airport’s Twitter account. 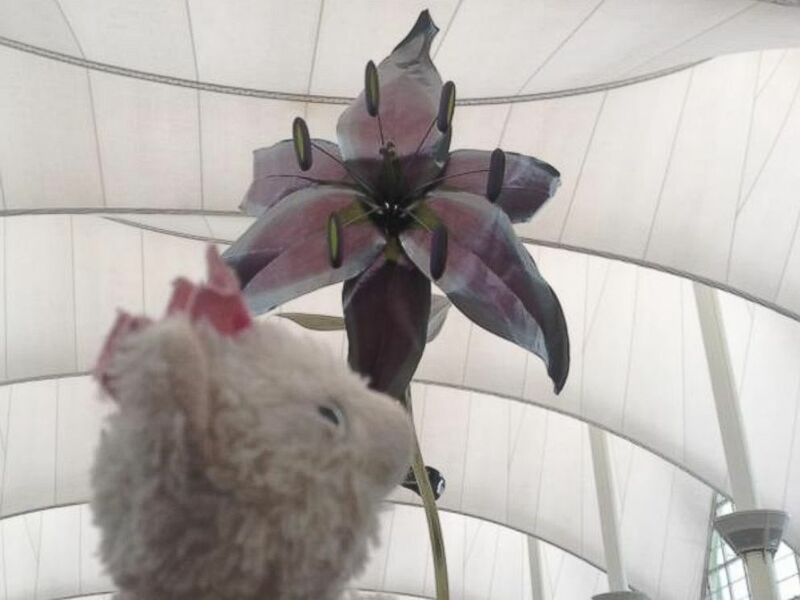 After someone had turned in Princess Kitty on Tuesday, the airport’s lost and found staff and social media team took Princess Kitty on a tour and tweeted photos of her adventure to Wieck. One photo showed Princess Kitty next to a sign that said, "Princess Kitty had a great day exploring DIA! But she's ready to go home now!" “They were really surprised and delighted, knowing that we didn’t just find her item but knowing that we took really good care of it at the same time,” Heath Montgomery, a Denver International Airport spokesperson, told ABC News. Princess Kitty did some people watching from the main terminal at Denver International Airport. Princess Kitty visited a coffee shop in the main terminal, took a look at a map of the airport and even got to do some people watching from the main terminal. “When she returned to the lost and found office ... they kept her front and center waiting for her little girl owner to return,” Montgomery said. Wieck said she and Annie went to the lost and found office that afternoon, bearing flowers, chocolates and thank you cards for the staff. “We all cried. We were so happy that we found Princess Kitty. They even said we’ll work on getting Princess Kitty a pre-check badge,” Wieck said. The day after her owners realized she was missing, Princess Kitty was reunited with them at Denver International Airport. Montgomery said Denver International Airport gets at least 30,000 lost items a year, but that there was something special about this little girl’s lost kitty. “It’s unusual for something to touch us at Denver International Airport, and it meant a lot to us and certainly meant a lot to this little girl,” Montgomery said. “I do believe the world is a wonderful place, but this was one of those reinforcements of that,” said Wieck. Annie, 9, poses with Princess Kitty after their reunion.